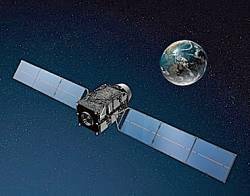 Mitsubishi Electric Corporation and NEC Corporation have received contracts to build the spacecraft and ground control system, respectively, for Japan’s Quasi-Zenith Satellite System (QZSS). The Japanese Cabinet Office announced the contract awards last Friday (March 29, 2013). Mitsubishi will receive ¥50 billion (US$540 million) for building one geostationary satellite and two additional quasi-zenith satellites (QZSs) to join “Michibiki,” the first QZS launched on September 11, 2010. The special purpose company— led by NEC and supported by Mitsubishi UFJ Lease & Finance and Mitsubishi Electric Corporation — established to build out the ground control segment under a private finance initiative will receive about ¥117 billion (US$1.3 billion). This will fund design and construction of the ground system and operation of the system for 15 years. 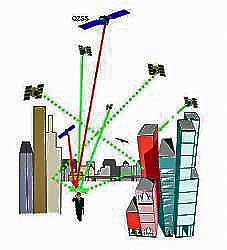 Each satellite will transmit the following signals: L1 C/A, L1C, L2C, L5, L1S (formerly called L1-SAIF for L1-Submeter-class Augmentation with Integrity Function) as well as L6a (a public regulated service), L5S (an augmentation signal on the GPS L5 frequency), and L6b (formerly called LEX, L-band Experimental, a high-accuracy augmentation signal centered at 1278.75MHz, the same as Galileo E6). Plans call for the system to finish its in-orbit test by March 2018. The official announcement can be found on the Cabinet Office website (Japanese language only).